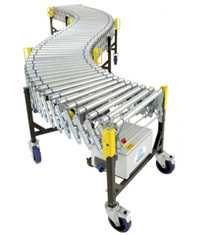 UK based C-Trak Ltd supply easy move conveyors for convenient mobility, storage & flexibility. 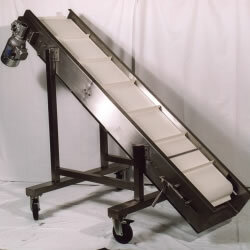 Over 30 years Fabricating Conveyor Systems. .... where space is of a premium. Mobile Sub Frames can be fitted to Convert any C-Trak Conveyor to a Portable System making it a versatile piece of equipment. 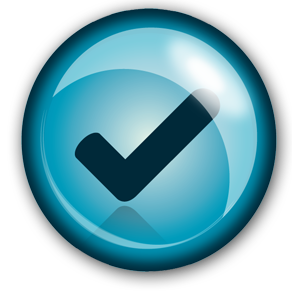 Formed in 1970’s C-Trak provide pioneering solutions for the everyday market. Almost all our Conveyors can be made portable. This is achieved by adding wheels to the leg assembly which can be fixed or swivel to suit each application the size of castor will depend on the product being transported. Brakes can be incorporated to make certain that the conveyor stays in a permanent position when needed.